Edraw provides you with a number of free printable diagram and chart templates for organizational charts, flowcharts, project plan, network diagrams, office spaces and many more. 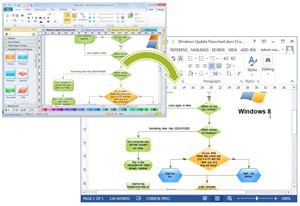 Edraw can export high quality flowchart templates to MS word document with one click. 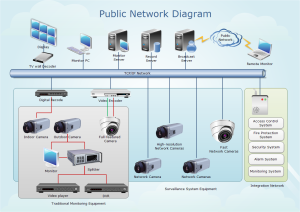 As a drawing designer or learner, you will find this public network diagram template helpful. 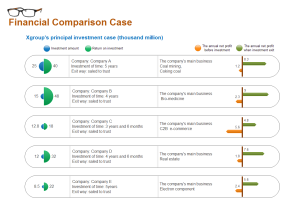 A financial comparison chart template is the comparison between the data that is important, rather than the values themselves. Use this template and you won't need to worry about distribution and layout. 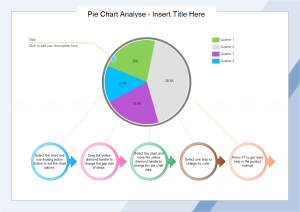 You can begin to create a pie chart by using a template. If you want to use a ready-made template, go to pie chart templates page and choose the Pie Chart that is perfect for you. 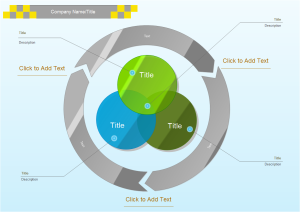 A well-designed 3 circles Venn Diagram template is available for download. Use it to ease your design process. 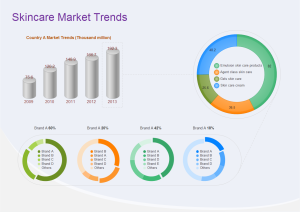 Trend graph is typically presented in the format of a chart such as the following skincare market trend chart that indicates a positive or growth factor and a negative or decaying factor.